What do you think of when you hear blonde ale? To me, I think of hot summer days that are made a bit easier by an easy-drinking smooth beer that goes down easy with a clean, refreshing finish. 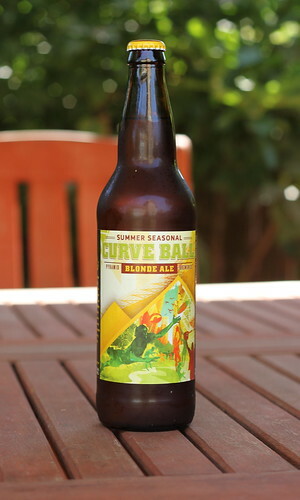 In this light, I try Pyramid’s Curve Ball Blond Ale – a Summer only brew that I have seen on store shelves. Pyramid is based in Seattle, Washington but is a popular brewery here in Oregon. The company offers quality beers at a good price, both on draft and bottled in stores. As far as taste – the Curve Ball is very refreshing at first taste. It has a smooth beginning that is light and crisp. However, this ale has an unexpeted wheaty finish that reminds me of a hefeweizen, my other favorite summer beer. All in all – the Curve Ball will not disappoint. This beer is the perfect one to accompany a summer hamburger or perhaps even some seafood including crab or lobster. Check it out at your local pub or beer store.